Jim O’Neill hails the last book by a statistician who recast progress in health and development. Jim O’Neill is an economist, a cross-bencher in the UK House of Lords, a distinguished visiting fellow at the think tank Chatham House in London, and honorary chair of economics at the University of Manchester, UK. Factfulness: Ten Reasons We’re Wrong About the World — and Why Things Are Better Than You Think Hans Rosling with Ola Rosling and Anna Rosling Rönnlund Flatiron: 2018. Hans Rosling was many things. A physician and epidemiologist; a statistician and data visualizer; a staunch advocate of free data as the bedrock of an accurate world view. 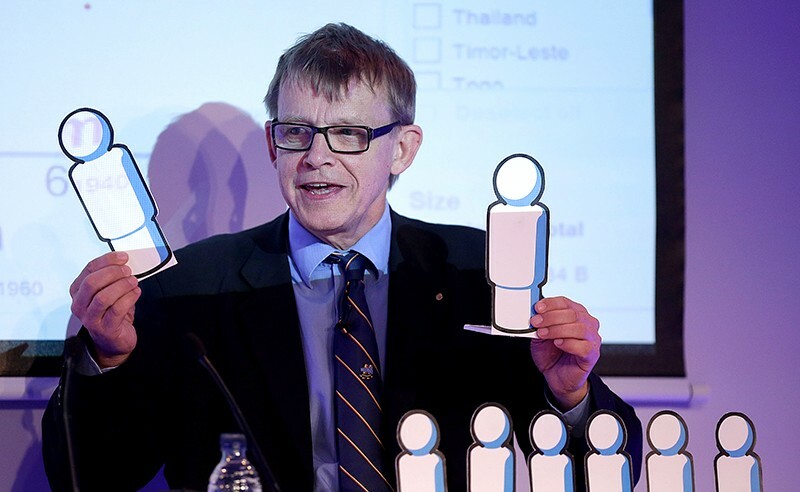 Factfulness is Rosling’s last, and posthumous, book; he died in February 2017. Like his other work, including his famous presentations, it throws down a gauntlet to doom-and-gloomers in global health by challenging preconceptions and misconceptions. Co-written with Ola Rosling and Anna Rosling Rönnlund (Rosling’s son and daughter-in-law), Factfulness is a fabulous read, succinct and lively. It asks why so many people — including Nobel laureates and medical researchers — get the numbers so wrong on pressing issues such as poverty, pandemics and climate change. The book isolates the ten instincts that lead to what Rosling calls the “overdramatic worldview”: that pervasive, generally pessimistic global perspective that often cancels out significant progress made in the face of vast challenges. The “gap instinct”, for instance, is the tendency to divide everything into two — such as developed and developing countries. This ‘us and them’ construct, he shows, is not borne out by the facts: some 75% of people live in middle-income countries. Rosling adds nuance to the global socio-economic picture by outlining four income levels, from US$1 a day to more than $64. He offers a masterclass in avoiding the gap instinct by, for example, comparing averages — one number can hide a range. Many of the other instincts that Rosling examines reveal his acuity about how easy it is for us to slide into negative, fearful or grandiose mindsets when faced with monolithic problems. His discussion of the “blame instinct”, for example, is important because it reminds us of people’s impatience with complex causation and tendency to pin everything on one agent. As he notes, problems such as lack of research into the diseases of the poorest people are systematic. To change them, you have to understand the systems. Rosling enlivens the chapters with multiple-choice questions. These highlight our knee-jerk responses and the scale of progress in a number of areas. (He jokes that chimpanzees choosing at random would generally outperform humans on these.) For example, he asks: if there are 2 billion children in the world today, how many will there be by 2100 — 4 billion, 3 billion or 2 billion? I got this wrong. Another question is how many of the world’s one-year-old children have been vaccinated against at least some form of disease: 20%, 50% or 80%? This I got right, but few people do. These riveting exercises kept me up late one evening: I couldn’t wait to see how stupid I was with the next question. Rosling also covers five risks that we “should worry about”: global pandemic, financial collapse, a new world war, climate change and the extreme poverty that still afflicts 700 million people. Factfulness is not, however, comprehensive. I have wondered whether Rosling would have been his usual cheery self when confronted with the challenges of antimicrobial resistance (AMR), and the needed solutions. I had the chance to discuss this issue with him only briefly. Its absence from the book is disappointing, but then, I’m biased. I led a global review on AMR for the UK government under then-prime minister David Cameron, during which I departed from my own generally cheery take on the state of the world. I came to Rosling’s work in the past decade, when someone at Goldman Sachs Asset Management (which I chaired) suggested that I should follow one of Rosling’s online presentations about the state of the world, its evolution and probable future. It was wise advice. Although I initially sulked because of the inference that Rosling discussed such information better than me, I soon realized that he took aspects of what I had become known for to a completely new level. His knowledge of issues around health, disease control and many aspects of development was obviously deep and broad. A few years later, I shared a platform with him. I loved his positive approach to life’s challenges; it did, and does, inspire me. Long before US President Donald Trump and fake news, I warned audiences about slavishly believing what they read. As Rosling spells out, our awareness of facts has never been that strong, and many journalists are not motivated to tell us that the world is getting better. (No news is sometimes the only good news.) It is up to individuals to ensure that we foster the disciplined habits of mind that Rosling eloquently and clearly sets out. This magnificent book ends with a plea for a factual world view. Rosling was optimistic that this outlook will spread, because it is a useful navigational tool in a complex world, and a genuine antidote to negativity and hopelessness. A just tribute to this book and the man would be a global day of celebration for facts about our world. Perhaps Trump should lead the charge on that.